LONG ISLAND CITY, Queens (WABC) -- JetBlue's computer systems went down Thursday, causing issues for customers at airports across the country for several hours. "We're experiencing intermittent network issues due to a data center power outage. We're working to resolve & should be restored shortly." 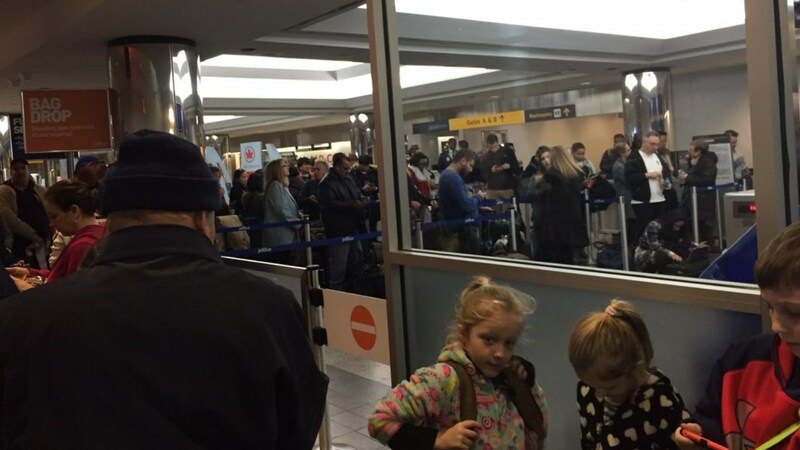 The airline also posted that flights were still departing, but customers traveling may experience delays or cancellations. By 2:30 p.m., JetBlue said power had been restored, and its systems at the terminal are back online. Customers should now be able to book flights on the airline's website and check-in for flights. This issue appeared to have an effect across the country, based on social media posts from people who had delayed or canceled flights. The airlines website, jetblue.com, was down during the outage, but it's now back up.